Beeville Concert Association’s next concert on Sunday, Oct. 10 at 3 p.m. at the Gertrude R. Jones Performing Arts Auditorium at Coastal Bend College in Beeville. The performance, which celebrates Hispanic heritage, is made possible by a generous grant from H-E-B. 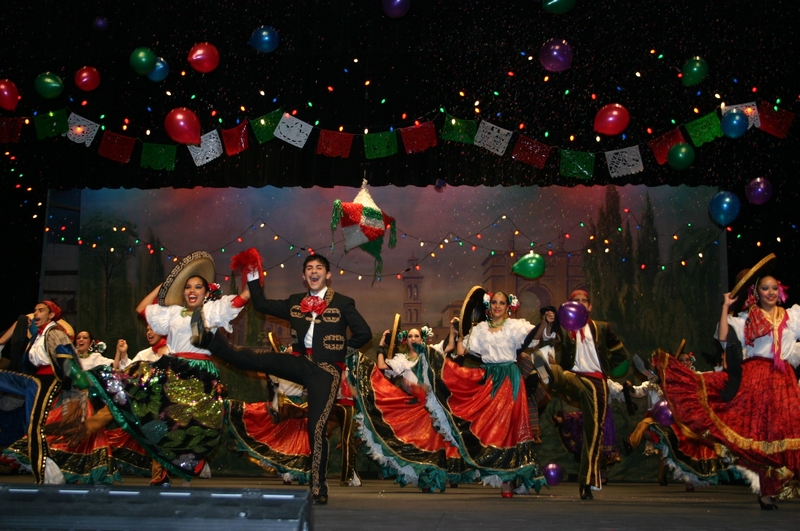 The show includes dances from Colombia, Spain and Mexico. BCA has previously brought an award-winning folkloric group and mariachi from La Joya High School which delighted and impressed local audiences. This year, a new group from the La Joya Independent School District was highly recommended. With the addition of two new high schools in La Joya ISD came the challenge of creating a new folklórico and mariachi group to equal the existing, award-winning La Joya High School Grupo Folklórico Tabasco and Mariachi Los Coyotes, which were founded in 1982 and have performed in Beeville twice in recent years. Palmview High School Mariachi Los Lobos and Grupo Folklórico Ozomatli were founded in 2007. In their three short years, the Palmview groups have made a name for themselves as they have excelled and participated in various performances and competitions around the Rio Grande Valley and across the state. Mariachi Los Lobos received a first place trophy at the Zapata Mariachi festival along with “Best Vocals,” “Best Armonía” and “Best Violins” awards in 2010. They earned third place at the University of Texas Pan American Mariachi Competition. Members of the mariachi also received top ranking chairs in the Region 15 All-Valley Mariachi in 2009. Grupo Folklórico Ozomatli has participated in many concerts and national folklórico festivals. Various members of the dance group have received scholarships to the University of New Mexico and some graduating members are now part of professional dance ensembles around the United States. In the months of November and February, the folklórico and mariachi groups put on a two-hour show for the community, which is sold out every year. Every student participant has the responsibility of passing their core area subjects every six weeks in order to perform. They are role models of their school and maintain good discipline in order to be part of the performing mariachi and folklorico group. The expectation of student artists is to be the best they can be and excel in their academics as well as performing arts classes. Most of the students that graduate become music or dance majors and many come back to teach in La Joya ISD. The name “Ozomatli” comes from the Aztec language, Nahuatl. It is represented by a monkey who served as a companion and servant to the god Xochipili, the god of dance and music. Ozomatli was associated with the arts, games and fun, hence is an appropriate name for a folkloric dance group. The performance is free to all students through high school age and to CBC students with their photo IDs. Other adults will pay $10 at the door if they do not hold BCA season tickets, which can be purchased at the door for $40 and include admission to the seven remaining concerts for the 2010-2011 season.